Chances are that the metals that run the device on which you are reading this post were extracted by an artisanal miner, who may have been working in hazardous conditions with primitive equipment and without a legal mining title. Whether sold directly to a mining company or bartered through the local market, metals like tantalum, tin, tungsten and gold provide a livelihood for over 30 million artisanal miners worldwide and indirectly affect over 150 million people in less developed nations before ending up in our homes as processors and other parts of consumer electronics. Lack of alternative employment opportunities, political conflict, climate change, decreasing opportunities in the agricultural sector, and rising prices of mineral commodities have contributed to a doubling of the number of people who depend on Artisanal and Small-scale Mining (ASM) activities in the last 15 years. Gold mining accounts for over half of ASM activities and generates 12 to 15 percent of the total worldwide production of gold. Artisanal gold extraction is associated with a number of of social, economic, and environmental challenges; it creates forced labor hotspots, is prone to takeover by criminal groups that use violence to settle disputes, contributes to deforestation of the Amazonian jungle, and is the main anthropogenic source of mercury release into the environment. Delivering better information to artisanal miners and empowering them to formalize their activities and collect data on their welfare appears critical to improving human, social and environmental outcomes in mineral rich economies. 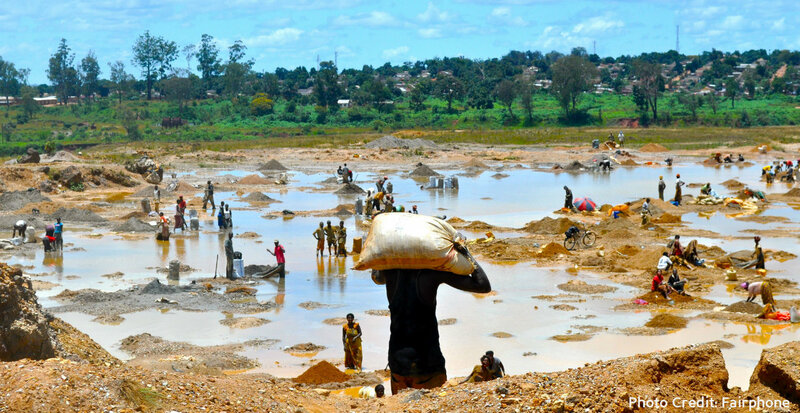 The ubiquity of mobile phones provides a far-reaching mechanism to address the information and power asymmetries that undermine the livelihoods of artisanal miners, damage the environment and contributes to conflicts. If you have ever sold anything on Ebay or Craigslist, you have probably checked prices online to make sure you are getting a good deal. In the same vein, an artisanal miner would benefit greatly from knowing the current market price before selling their day’s catch. Artisanal miners are at a great disadvantage during sales negotiations when they lack information on mineral and metal prices, contributing to a cycle of systemic economic insecurity. Mobile technology can enable miners to query latest international and local prices directly from their mobile phones to help them negotiate better with buyers. If buyers exercise some form of monopoly power and can set prices; information may not be sufficient to improve artisanal miners’ earnings. However it can help them document abuses and organize to seek alternatives to get fair prices for their products. Even for workers employed and trained by formal large-scale companies mining is a dangerous job. It becomes even more deadly with ASM, as miners work with basic tools and little to no safety equipment in very dangerous environments. ASM excavation pits typically have poor ventilation – which increases the chance of methane or coal dust explosions – and no support structures to prevent unexpected collapse. Besides the dangers that exist at the bottom of an unsafe pit, improper use of chemicals and burning for the extraction of metals also greatly endanger miners and their communities’ health. Mercury can cause irreparable damage to the nervous system and lead to death, but it is not the only silent killer of artisanal miners. In northern Nigeria, 400 children died in 2012 due to lead poisoning after lead-laden rocks were pulverized in search of gold. Mobile broadcasting messages via SMS or voice can pair health and safety messages with other useful notifications, like pricing information, to warn miners about unstable mining shafts, inform them on the dangers of chemical processing of metals, or broadcast information about health centres for cases of emergency. The use of toxic chemicals in the processing of metals, such as mercury amalgamation to extract gold from ore, not only endanger the health of miners and their families, but contribute greatly to irreversible and widespread environmental damage. ASM techniques oftentimes result in the buildup of silt and dumping of effluent in rivers, while inadequate mine closures can lead to acid rock drainage that further pollutes local water sources. With rivers spanning entire continents, toxins are rarely restricted to the mining community alone; in fact, toxicity from ASM techniques can contaminate and destroy entire ecosystems, from forests to families of fish due to mercury or cyanide poisoning. Mobile technology can help share information on environmentally sustainable extraction and processing techniques to help artisanal miners abide by certain environmental standards normally hampered by their informality. This will empower miners to make better choices for their communities and the planet. Subsistence miners almost always work independently and use their own resources during the extraction process. They rarely have the proper equipment to increase their productivity, or use malfunctioning tools discarded by others that can prove dangerous to their safety while impeding their efficacy. Via broadcast messages, miners can access information about proper equipment and usage, or listen to training modules that help them develop more productive techniques while mining safely and responsibly. In addition miners can use mobile phones to coordinate among each other, and begin to form functional equivalents of associations and cooperatives to increase their productivity, access to financial services and bargaining power. ASM is an informal economic activity, and small-scale miners typically work without permits and legal mining titles. This informality limits miners’ ability to settle disputes, file grievances, or access financial and government services. The informal nature of their work also puts them at risk of human rights abuses by mining companies’ security personnel or local police. In July, armed police burned down an entire ASM community in Peru’s Amazon basin, destroying large swaths of of rainforest and endangering the lives and livelihoods of hundreds of miners and their families in the process; while failing to address any of the social and environmental challenges posed by ASM. Weak institutional structures for overseeing and regulating mining activities limit ASM communities’ access and capacity to formalize their work, which would not only give miners access to rights, but also enable the state to require and enforce miners’ responsibilities, such as completion of environmental certification or avoiding areas governed by indigenous groups. Simple mobile phones can increase the reach of public institutions on the ground, and boost their capacity to communicate directly and regularly with miners about their rights and responsibilities. This helps create more constructive feedback loops with other interested stakeholders, like indigenous organizations, civil society groups, or large scale mining operations. Mobile technology can be used as a channel through which miners can file grievances related to corruption, human rights abuses and safety concerns, while incentivizing them to acquire permits that contribute to the formalization and monitoring of their work. Improving the livelihoods of artisanal miners will take a lot more than a simple technology fix. Multi-stakeholder approaches that engage civil society, private sector and public institutions on ASM issues, are best suited to develop a localized response to the complex environmental, social and human rights challenges for millions of artisanal miners worldwide. Mobile technology can offer a scalable, affordable and flexible infrastructure to bust information silos and bureaucratic processes, and support a change agenda for ASM. 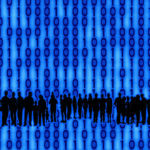 Technology can only serve and empower – not substitute for – reformers across and within each stakeholder group. We look forward to engaging with reform champions to test, innovate, learn and expand their toolbox for change.